Having trouble getting those Zzs at night? Well, not to worry because, according to Bose, its new product will help you sleep like a log even if someone’s blasting loud music outside your window. Called Sleepbuds, Bose’s in-ear headphones have been designed to tune out any kind of sound that could disturb your sleep. 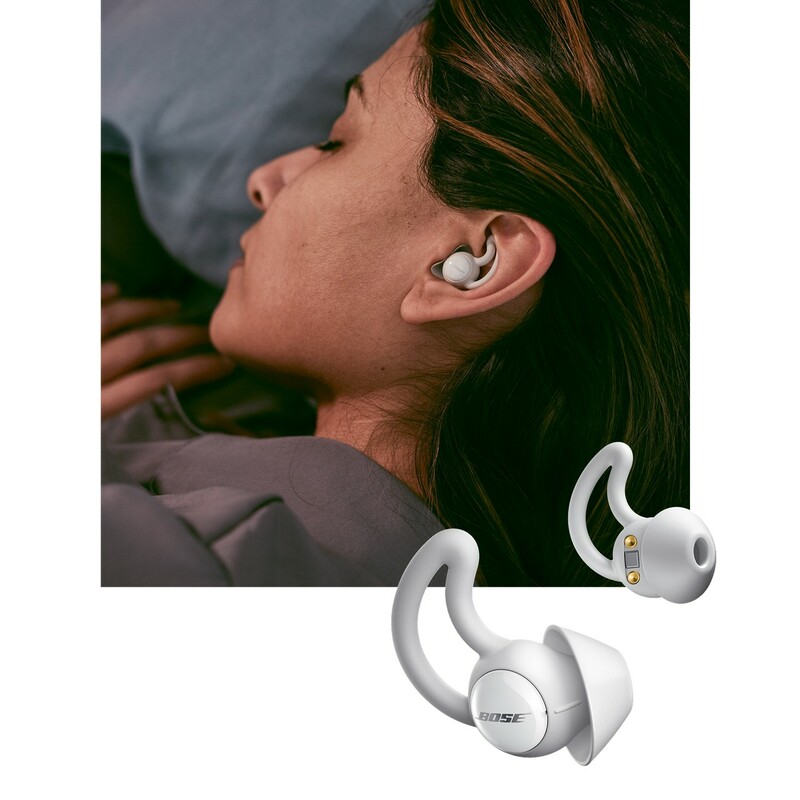 Bose just announced that Sleepbuds, the in-ear headphones that should, theoretically, increase sleep quality, will soon be available for purchase. Manufactured from silicone and plastic, these tiny headphones are guaranteed to help you sleep by actively blocking out any kind of disturbing sound. As a company’s representative declared, compared to headphones that harvest the noise-canceling technology, Sleepbuds takes advantage of noise-masking technology. In other words, these tiny in-ear headphones will block out white noise such as traffic and instead play a soothing tune. Apparently, each of the ten preloaded soundtracks that come with Sleepbuds has been engineered to soothe you to sleep. It has a rechargeable silver-zinc battery which, according to Bose’s claims, can last up to 16 hours. Yes, as you might have realized, these headphones are designed to sleep with them. Don’t worry too much if you’re one of those people who toss and turn in their sleep because its silicone lining ensures maximum comfort. Sleepbuds can be paired with any iOS or Android smartphones via Bluetooth. You can use Bose’s companion application to select the track you want to play before bed and, of course, to adjust the volume. Bose’s mobile application also allows you to set alarms and to download new tracks from the store. Word of warning – these headphones were designed for sleep only, so that means no music streaming. Soundtrack-wise, you can choose between waves, rustling leaves, wind chimes, and others. Bose’s Sleepbuds can be purchased for the not-so-modest sum of $250. The space debris laser should remove those pieces of junk that put satellites in danger. The Russian space agency has great plans to keep space cleaner. A recent report revealed Roscosmos is currently collaborating with another company from the country to build a really advanced mechanism. Namely, a sort of laser that should annihilate space debris and avoid further accidents between satellites. There’s not too much information on this space debris laser, but several reports indicate it is in development. According to a state-owned media company, the business that will build the laser is a science corporation called Precision Instrument Systems. When asked about it, the company confirmed the rumors but offered no extra information on the matter. Other rumors claimed a detailed report on the space debris laser should appear online on ResearchGate, on the page of the Russian Academy of Sciences. However, this didn’t happen, but a study on the matter might appear soon. The Russian authorities also refused to comment, but the company’s confirmation should be enough for us. How Does the Space Debris Laser Work? Fortunately, a few unofficial documents are talking about the space debris laser and how it works. In terms of power, it should get it from a base generator. Also, to completely remove space debris, it would use a process called laser ablation. In easier words, laser ablation links the energy of the laser with the material in question. 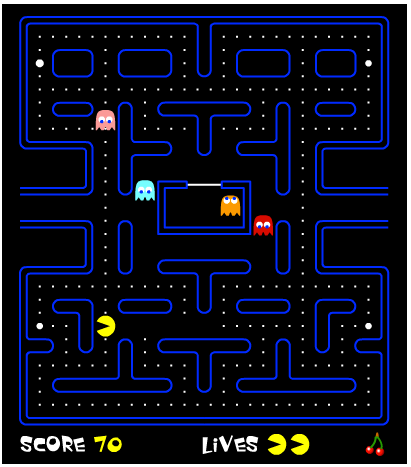 As the two are coupled, the targeted material disappears. It sounds easy, but researchers warned everyone the method hadn’t been explored enough. However, the Russian scientists might have found a way to keep laser ablation under control. 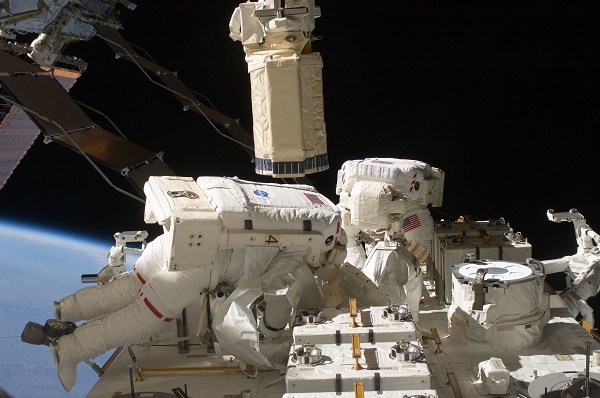 Their initiative was more than welcome since space debris is one of the toughest issues of the moment. 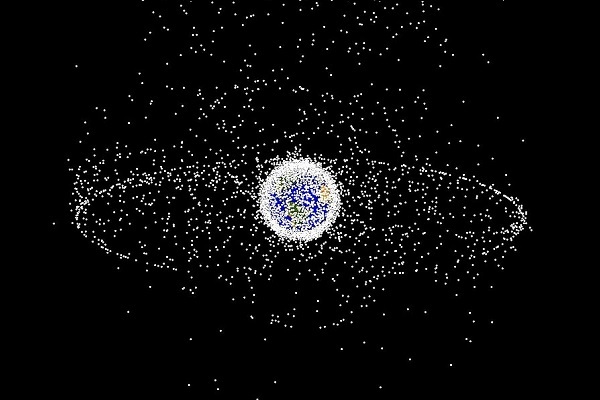 According to the measurements in 2013, there were around 500,000 pieces of space junk floating dangerously around our planet. These pieces have the potential to strike satellites or maybe even spacecraft and produce colossal damage. Even if most pieces are small, they reach tremendous speeds that can be dangerous to anything. Therefore, the space debris laser initiative is more than welcome. Wolfenstein Youngblood will be launched in 2019. 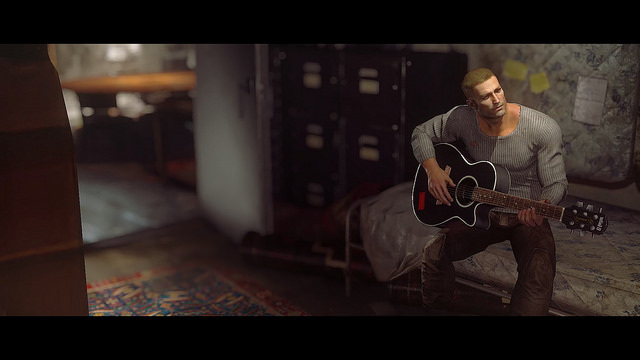 And because having to deal with all the Cyberpunk 2077 and Elder Scroll VI was not enough, Bethesda said during E3 that another Wolfenstein game is on its way. Called Youngblood, the game, which is slated for launch in 2019, apparently focuses on the adventures of BJ’s twin daughters. According to Bethesda, the new Wolfenstein game will be launched at the beginning of 2019. Of course, the bar the company set for the series is quite high (remember the decapitation scene! ), meaning that the upcoming title should probably have something in stock to quench the public’s thirst for some, good old unbridled mayhem. Unfortunately, apart from the company’s announcement and the game’s launch trailer, we know very little about Wolfenstein Youngblood. So, according to Youngblood’s timeline, the plot of the game takes place in the 1980s, 19 years after BJ Blazkowicz ignited the anti-fascist revolution. Instead of focusing on yet another BJ adventure, the game will allow users to play as either Soph or Jess, BJ’s twin daughters. Yes, apparently BJ has two daughters, and they’re just as awesome as their Nazi-killing father. Here’s yet another tantalizing detail about Youngblood’s story – 19 years after the revolution, the hero goes missing in Paris. And it’s up to Jess and Soph to uncover the whereabouts of BJ. Gameplay-wise, there isn’t too much to say. From the presentation trailer, we can see that players will be able to wield basically the same type of weapons and, of course, crawl through Nazi-infested location. One of the most interesting things we’ve learned from the trailer is that the player could be able to use the exo-battlesuit. If you remember, in the New Order, Caroline Becker uses the strange metallic suit of armor found in the Da’at Yichud research facility to recover the use of her legs. It would seem that Jess and Soph could be using similar armor. Scientists have been working on a map of Mars that shows the possible places for human settlements. Lately, new technologies have joined the road to the eventual colonization of Mars. These most recent elements are a pair of advances in technology that will help settle on the Red Planet or at least try and do so. The first one is an animated map of Mars’ surface created by ecologist Wieger Wamelink at Wageningen University This helps show factors that will be important for the location of a possible human colony. Wageningen University and its “Food in Mars and Moon” project have been studying the soil of Mars since 2013. In doing so, scientists were eventually able to grow a variety of crops necessary for survival. These included tomatoes, carrots, and peas, among others. This study helped provide some of the knowledge and experience necessary to put together a map of Mars. One that includes ratings of different minerals in the soil, climate, terrain, atmosphere, radiation, and nearby ice deposits. All of these elements must be suitable for crops to grow. Interestingly, areas rated well for a possible human colony are places where Mars Rovers have often landed before. The second technological advancement is a set of small, insect-sized mini-drones developed by NASA. These look like robot bees with cicada wings. They could be used for exploring the surface of the Red Planet and gathering samples. The adorable tiny robot bees are aerodynamic and use a tiny fraction of the energy a rover does for exploration. This is mainly due to how their wings operate in Mars’ low gravity and thin atmosphere. 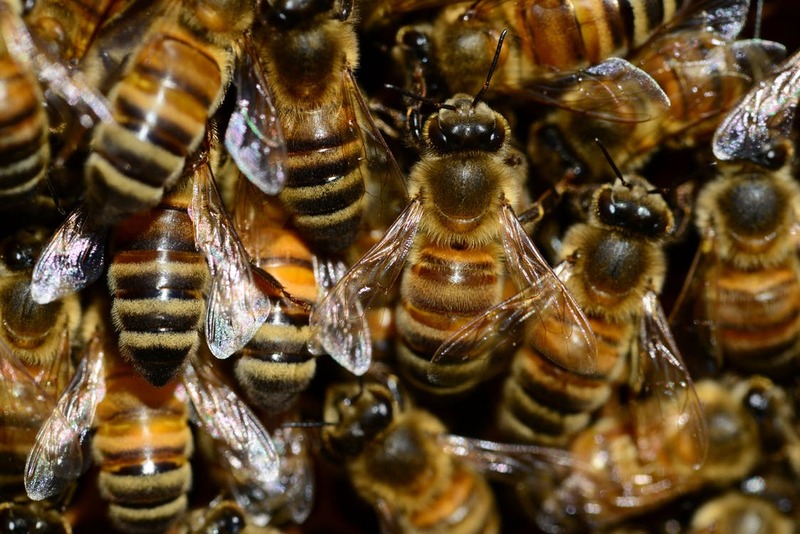 The “Marsbees,” as they have been dubbed, are outfitted to gather samples of air. In doing so, they are searching for methane, a sign of life, on Mars. The exploration of Mars seems looming, with some estimates projecting a human presence on the Red Planet as soon as the mid- to late-2020’s. Scientists and projects from all over the world are assisting in overcoming the many hurdles that might come with exploring and living on a planet so far from Earth. 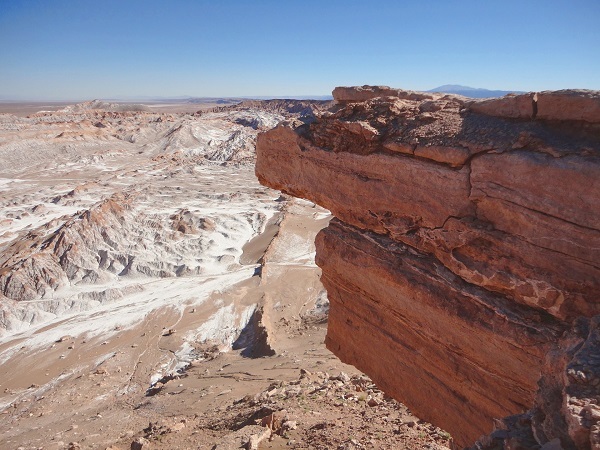 Scientists found microbes in the driest desert on Earth, the Atacama. Researchers have found living microbes in the Atacama Desert, according to a report released in the journal Proceedings of the National Academy of Sciences of the United States of America (PNAS). Dirk Schulze-Makuch, an astrobiologist with the Technical University of Berlin, and his colleagues argue that the presence of the microbes in the driest desert on Earth indicates that it might be possible for similar lifeforms to survive on Mars. The Atacama Desert located in northern Chile stretches from the Pacific coast to around 621 miles inland. It is Earth’s driest desert with an annual rainfall of only 0.31 inches. Crusty salts cover much of its surface, and the soils resemble those found on Mars. Schulze-Makuch and his colleagues collected samples from eight different locations over a three-year period. They began amassing samples in 2015, right after a very rare rainfall. Then, the researchers made visits to the sites in both 2016 and 2017. Some of the locations were on the coast, while others were further inland. The study team sequenced all of the copies of a given gene used to identify microbes. In some cases, they recovered entire genomes. The scientists then performed a test to determine the percentage of DNA that came from living cells. Lastly, they looked for signs of cellular activity like the existence of ATP (adenosine triphosphate). This is a molecule that cells use for energy. Not surprisingly, the researchers discovered that the most diverse microbes came from the coast immediately after the rain. They did find microbes even in the driest, most inland areas about 9.8 inches underground. Several genomes indicated that some coastal bacteria were actually reproducing and were thus thriving in their arid home. The scientists were able to identify some of these species by using a database. The researchers found that the microbial communities from the coast resembled those in sandy soils. Those from the drier areas resembled communities found in salt flats or extremely arid deserts. The latter may hibernate in a spore form. 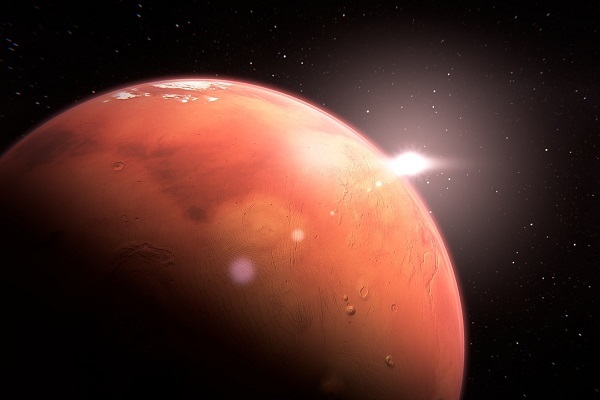 The researchers believe that Mars, which does get moisture in the form of snow or fog, might also harbor such microbes. Japan will be the first country to have an artificial meteor shower and now we know when it will happen. The Japanese start-up, Astro Live Experiences, is looking at a 2019 event which will be held over the Setouchi area of Hiroshima Prefecture. 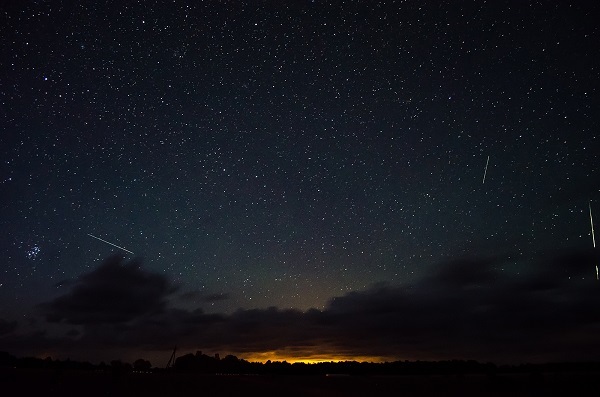 ALE founder and CEO, Lena Okajima, announced the company’s first trial run for the artificial meteor shower will commence in a couple of years. Shooting stars are leftover debris from comets that create a bright trail of light once they enter Earth’s atmosphere. The company aims to recreate the natural event by releasing specially designed “pellets” into the atmosphere. The feat will be accomplished by loading stacks of these pellets into ALE’s 23-inch satellite, located about 500 kilometers (310 miles) above Australia. ALE hopes the satellite will hold 300 to 400 pellets for a one year orbit around Earth. Once the satellite releases the pellets, they will begin to burn at the moment they fall to a height of 60 kilometers (37 miles). The company claims the pellets will burn up in specific sections of the sky and can display them at any time of the day and in any color. Because the pellets are artificial, ALE can tinker with them to burn brighter and last longer. They also said each shooting star will be visible for at least 62 miles (100 km). The first trial will be conducted at Setouchi in Hiroshima due to its clear skies and popularity. Okajima added she wants to reignite interest in the cosmos for young people. “These days people are usually looking down at their smartphone. I want to make people look up again,” she said. When they’re not providing the world artificial meteor showers, ALE is using the satellite to study physics in the upper atmosphere. The company has yet to confirm if they will use their flashy spectacle during the 2020 Olympics. A telescope at Caltech has been equipped with a new robotic camera capable of capturing hundreds of thousands of stars and galaxies in a single shot. Astronomers have now been able to successfully test the camera for the first time. The Zwicky Transient Facility (ZTF) first went live on Monday although the telescope was functional from 1948. 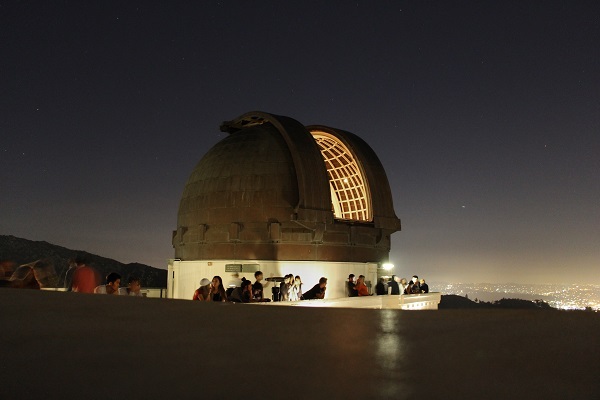 Astronomers have repurposed the 1.2 meter Samuel Oschin Telescope at the Palomar Observatory near San Diego. Before it was given a new purpose, Oschin took pictures of the night sky on glass photographic plates. Set for daily scans, the ZTF will capture large portions of the Northern Sky, looking for shifts in brightness otherwise known as transients. These include black holes, asteroids, comets, and supernovas. The ZTF’s upgraded camera will also be able to take twice as many exposures each night. The telescope is named after Fritz Zwicky, Caltech’s first astrophysicist. He was responsible for the discovery of 120 supernovae. According to assistant professor of astronomy at UMD Suvi Gezari, the ZTF will be key to the observation and classification of cosmic events previously unseen by older telescope models. Surveys conducted by the ZTF represent a huge step forward in astronomy, according to undergraduate director of astronomy at UMD, Melissa Hayes. Discoveries involving fast-moving cosmic masses were based on chance in the past. However, astronomers have adapted and improved existing instruments to better observe the mysteries of the universe. 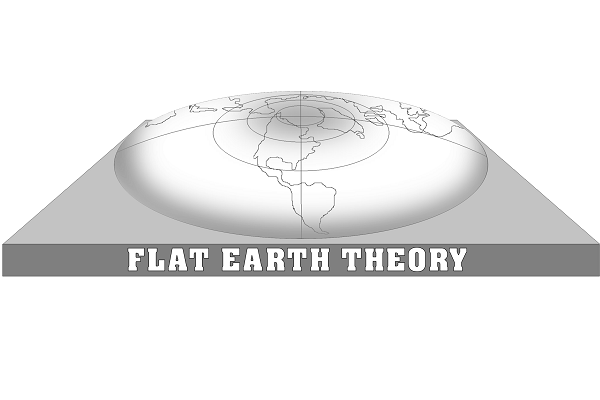 The ZTF is able to catch fainter and more distant objects. Institutions from Germany, Taiwan, and Sweden are also in charge of the ZTF. The ZTF survey is scheduled to begin in February of 2018 and the project itself will be ready by the end of 2020.